Ransomware  is a special type of malware that locks, or claims to lock, your files and folders; then it asks you to pay a certain amount of money before you are given access back to your data. If you don’t pay, you don’t get access to your data (unless you had a pre-ransomware backup). 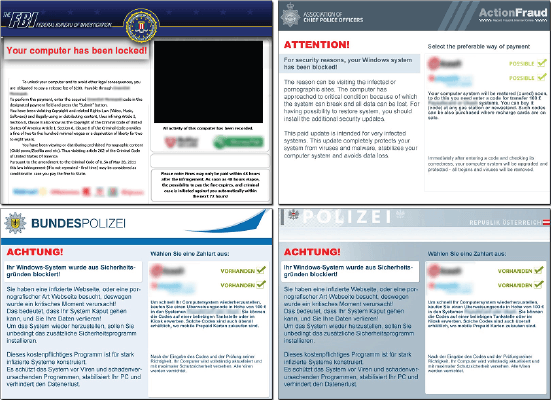 Ransomware has been around for a long time but it appears that the technique is finally paying dividends to criminals — 5 million of them. Symantec was able to track another cyber crime gang and found 500,000 unique IP addresses connecting to that particular ransomware server over the period of 18 days. This data has lead Symantec to proclaim “a conservative estimate” that “over $5 million dollars a year” is being earned by criminals using ransomware. Symantec further notes that “he real number is, however, likely much higher” than $5 million a year. A lot of individuals do pay up, either because they believe the messages or because they realize it is a scam but still want to restore access to their computer. Unfortunately, even if a person does pay up, the fraudsters often do not restore functionality. The only reliable way to restore functionality is to remove the malware. $5 million. A year. I should get into this business.